Yes, the beach is great for relaxing! But if you have young children, you might be reminded that holidays are also about action and lots of fun. So why not head out to the Blue Fan Waterpark and spend a refreshing and exciting day with the family? Have you ever heard about the Multitrack Cronor Race or the Black Hole PsicoLightMusic? Well, it’s perhaps time to give it a try! Feel like Indiana Jones in the Big River or get an adrenaline kick in the Kamikaze Drop, just to name a few attractions. You might even want to join the “Foam Party” in the wave pool or … perhaps better relax in the whirlpool and enjoy the energizing jet of the waterfall. Watch this video with 7 of the most beautiful beaches in the Chia area and make your choice! Also check out this very useful beach guide! 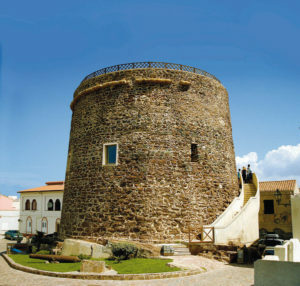 The island of Sant’Antioco is connected to Sardinia by a bridge, hence no need to take a boat or study time schedules. Once on the island, I recommend making a stop in the charming village of Calasetta, which has preserves its typical and unchanged traits of its Genoan and Tarbarchin (Tunesia) origins. Have a stroll in the picturesque narrow streets and admire the sea from one of the cafés on the harbour front.Calasetta is very famous for its distinctive tower, which was built around 1737. 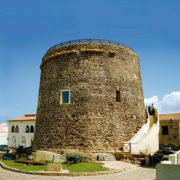 The tower was erected by the Savoy authorities to defend the channel between Sant’Antioco and the Island of San Pietro from the Saracen vessels. The Calasetta area has numerous beaches of amazing beauty. The coast is steep and rocky to the West and low and sandy to the North-East. If you choose to spend the afternoon around Calasetta, you have the choice of several marvellous beaches such as “Spiaggiagrande”, “Porto Maggiore”, the “Salina” and “Sottotorre”. The rocky rampart to the West is of unrivalled beauty stretching to a depth of up to 10 m and contributing to the creation of striking caves and stack formations of rocks. 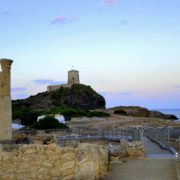 Have a look at one of the most beautiful places carved by the sea: the “Nido dei Passeri” (sparrows’ nest), a rocky formation which serves as a refuge to many local birds. 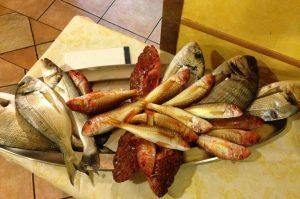 Influenced by the Liguria region, Sicily and North-Africa, the cuisine of Calasetta is a typical culture mix. If you decide to stay in Calasetta for lunch, try the superb dish offresh local tuna served with the “farinate di ceci” (a sort of savory pie made of chick peas) and fish soup. 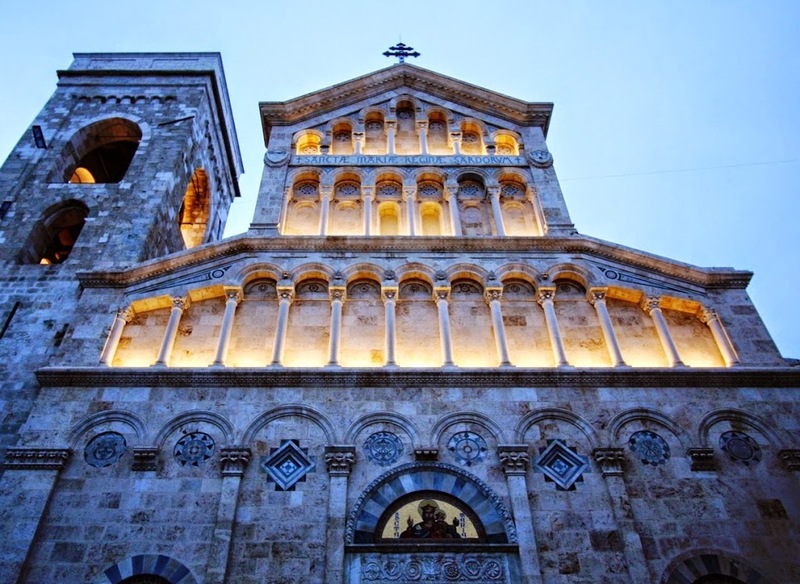 From the Chia area, Sant’Antioco can be reached in approximately 1.5 hour drive. The scenic road will take you through the charming villages of Teulada, Sant’Anna Arresi and Sant’Antioco. While in South Sardinia, I strongly recommend a visit to the well-kept town of Pula. Here you will find everything you need for your daily needs, including a selection of good restaurants, lively cafes and many shops which are open all year round. I particularly like to sit in one of the little cafes around the “piazza”(main square) and enjoy a perfect cappucino with Italian pastries or a refreshing Sardinian sparkling wine to open my appetite. The lively square is quite sunny and particularly enjoyable in the cooler months. During the Summer, there is plenty of entertainment here for locals and visitors alike! 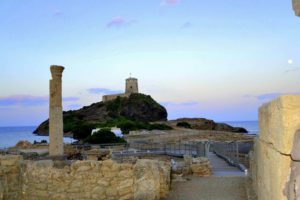 If you are passionate about history then you probably shouldn’t miss a visit to the archeological site of Nora, where Phoenicians, Carthaginians and Romans have left imposing traces. Dominated by the Spanish Tower, Nora is located on the beautiful sea front, just outside the town of Pula (follow the signs). The atmosphere is fabulous in the late afternoon. Nearby on the beach, you will see the cute little church of St. Efisio, which plays a predominant role on May 1st, during one of the most important celebrations of South Sardinia. 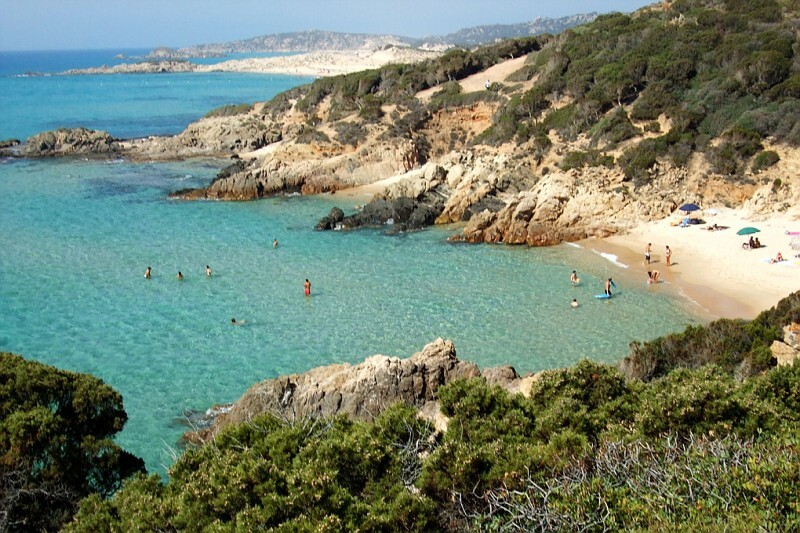 It is no secret that the beaches of Sardinia are among the very best of the Mediterranean. 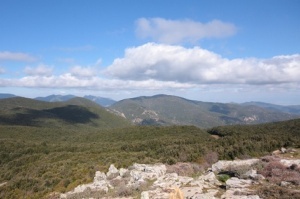 However, not everybody knows that South Sardinia also has the largest holm oaks forest of Europe. 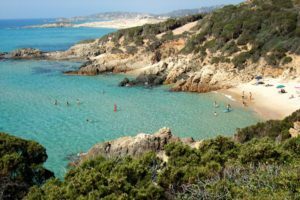 If you are looking for an interesting excursion with family and friends, take a break from the beach and go discover the natural beauty of the Sardinian hills! The adventure starts only a 10 minute drive from the beaches of Chia and leads through the granite mountains of Domus de Maria (900 mt) in direction Teulada. You will be astonished by the wild and pristine beauty of the holm-oaks, eucalyptus and pine trees, myrtles, strawberry-trees, heather and mastic trees in the undergrowth. 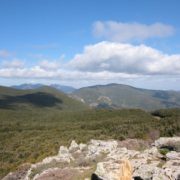 If it’s your lucky day, you will even be able to observe Sardinian deers, fallow-deers and wild boars. 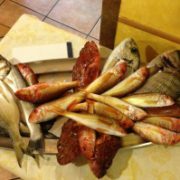 Drive for about 6 km to reach the farm “Agriturismo Sa Mitza e s’Orcu”, which serves local specialties to its visitors. Continue the road for another 8 km (2 of which are not asphalted) to reach the forester’s property Is Cannoneris (742 m) and the welcoming picnic area. For the most daring, here starts the 4 km hike that leads you to the highest point of the mountain, Punta Sebera (979 m). 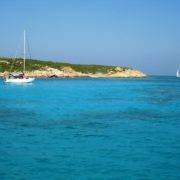 Once arrived at the top, all your efforts will be rewarded by the spectacular panorama, which on a clear day, reaches as far out as Cagliari and Villasimius on the East and Carloforte island on the west. When I imagine my paradise beach, I see crystal clear water with a rich undersea world, a white and fine sandy beach with soft dunes covered with juniper and myrtle in the background, a place where peace and quiet prevail. Well, this paradise exists in South Sardinia, more precisely in Porto Zafferano (or Cala Zafferano), a really unique beach near Capo Teulada just a few kilometers away from the port of Teulada. 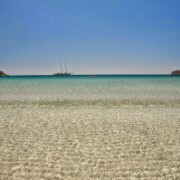 It is without doubt one of the most beautiful and unspoiled beaches of Sardinia. In fact, the beach and the entire coastal area is off limits from September 1 to May 31, as it is part of the NATO military area. However, from June 1 to August 30 Porto Zafferano can be reached by sea. Porto Zafferano has a preserved marine wildlife due to the complete fishing ban throughout the year. This is the perfect place for snorkeling, as you will easily see many types of fish, including eels, octopus, sea urchins and more. To see the treasures of Porto Zafferano you can either rent a small boat or a dingy in Porto Pino or Porto Tramatzu, or you can join an excursion starting daily from the port of Teulada (e.g.www.seadream.it). Book long in advance if you would like to visit in August! How about realizing your dream of riding a horse on an empty beach? Discover the wonders of the South and the beautiful white sandy beaches, get to know the scents of the Mediterranean island and its wild secret places, but this time on horseback! Giancarlo Cabras is the friendly local horse riding teacher who organizes from 1 hour to a full day horseback excursions around Chia. Why not try something different! 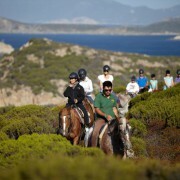 His riding school is located in Chia, 45 km from Cagliari, and offers a wide range of courses for both adults and children, experts and beginners. 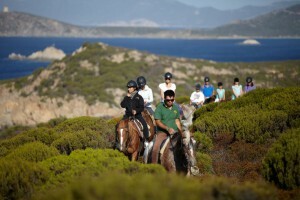 Thanks to his qualified experience and his trusty horses, Giancarlo offers unforgettable experiences on horseback. All you need to bring along are long pants and good walking shoes. The rest will be provided. One hour course: 25€, two hours: 45€, three hours: 60€. 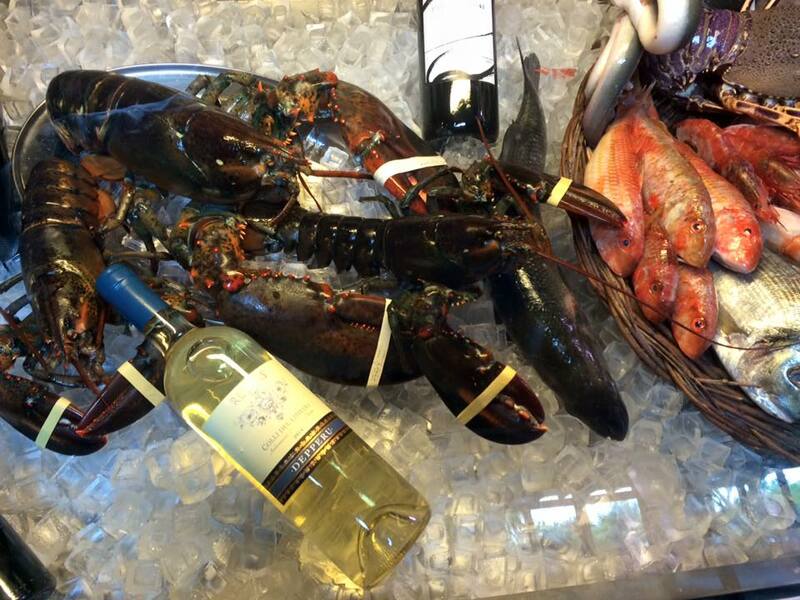 One of the best restaurants in the Chia area in South Sardinia is without doubt the Ristorante Mirage. I recommend this place for those in search of the most genuine cuisine flavors of this beautiful corner of Sardinia. Their choice of fresh fish and seafood is just overwhelming … and their mouthwatering pasta dishes are simply heaven… if you don’t know what to choose, approach the kitchen counter and let the chef recommend you one of his extra yummy dishes! Buon appetito!